The University of Waterloo, located at the heart of Canada’s technology hub, has become a leading comprehensive university with 35,100 full- and part-time students in undergraduate and graduate programs. Consistently ranked Canada’s most innovative university, Waterloo is home to advanced research and teaching in science and engineering, health, environment, arts and social sciences. From quantum computing and nanotechnology to clinical psychology and health sciences research, Waterloo brings ideas and brilliant minds together, inspiring innovations with real impact today and in the future. 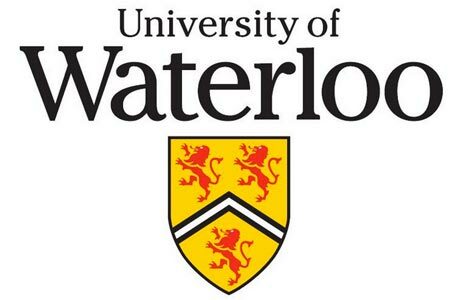 University of Waterloo offers Master's and Doctoral Student Awards to international students. The IMSA program will be discontinued effective May 1, 2019 with the spring 2019 admissions cycle. This means that students offered admission for spring 2019 and beyond will no longer automatically receive this award. Students who were offered the award prior to spring 2019 will continue to be “grandparented” under this program until their last eligible term based on the details below. Basic eligibility requirementsEligible students must be enrolled full-time in research-based graduate degree programs at the University of Waterloo and hold a valid Canadian study permit. Students must meet the academic progress requirements of their program, and not have outstanding probationary admission requirements, or be concurrently receiving external awards or sponsorships, or be self-funded. International graduate students registered full-time in a MA, MASC, MES, MFA, MMATH (except coursework programs) or MSC (except course work programs) degree program will receive an IMSA valued at $2,130* per term (the value is approximate to one-half of the differential fee per term) for 2 years (up to term 6.0). International graduate students registered full-time in a PhD program will receive an IDSA valued at $4,260* per term (the value is approximate to the full differential fee per term) for 3 years (up to term 9.0). Note: For international graduate students registered in a full-time doctoral program and who are eligible for the International Doctoral Student Award (IDSA), the minimum level of financial support is exclusive of IDSA.